Thank you for joining us on December 7 for Breakfast with Santa. Images from the event are available online. 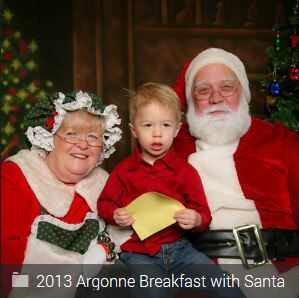 If you had pictures taken with Santa at Argonne’s annual Breakfast with Santa event, the pictures can now be viewed and full size files ordered at www.ArgonneSantaBreakfast.com.